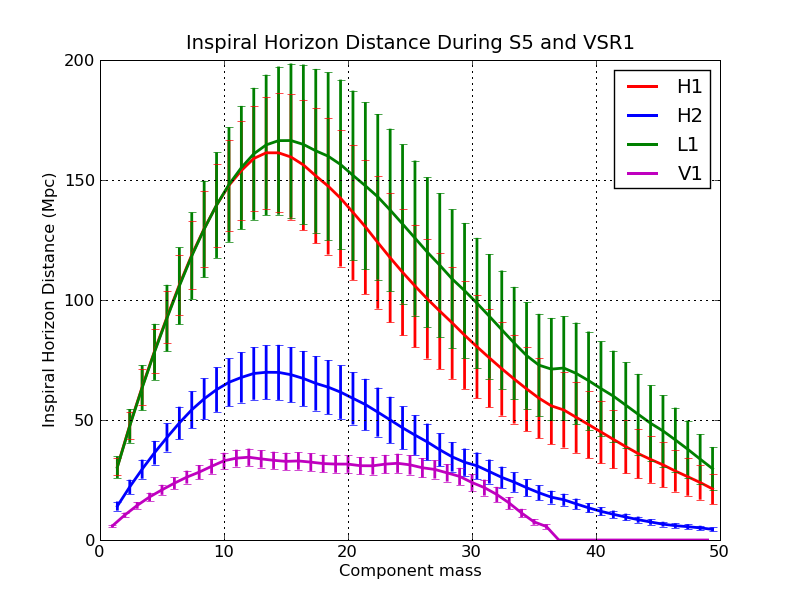 We summarize the sensitivity achieved by the LIGO and Virgo gravitational wave detectors for compact binary coalescence (CBC) searches during LIGO's fifth science run and Virgo's first science run. 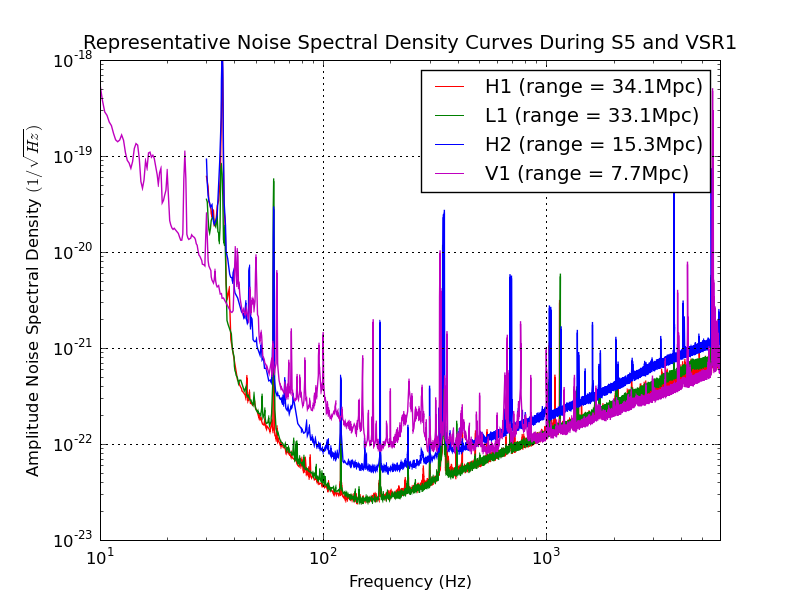 We present noise spectral density curves for each of the four detectors that operated during these science runs which are representative of the typical performance achieved by the detectors for CBC searches. 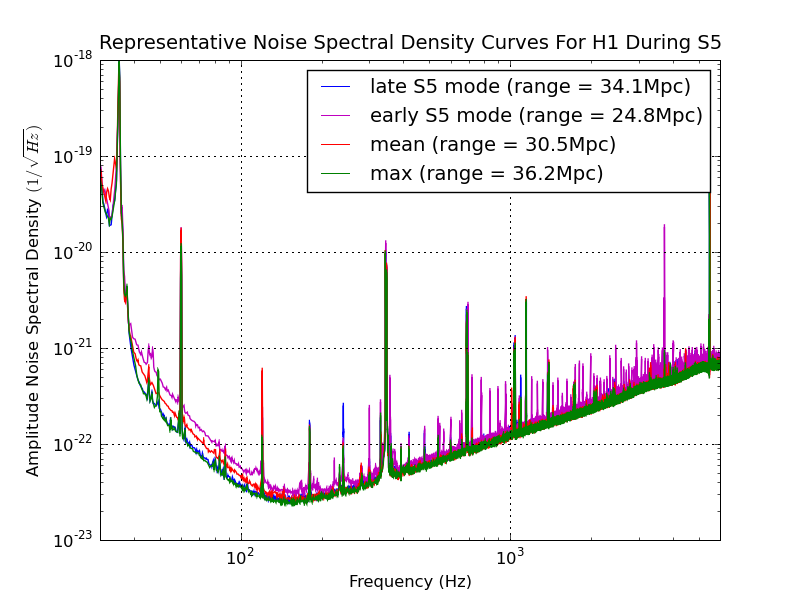 These spectra are intended for release to the public as a summary of detector performance for CBC searches during these science runs. 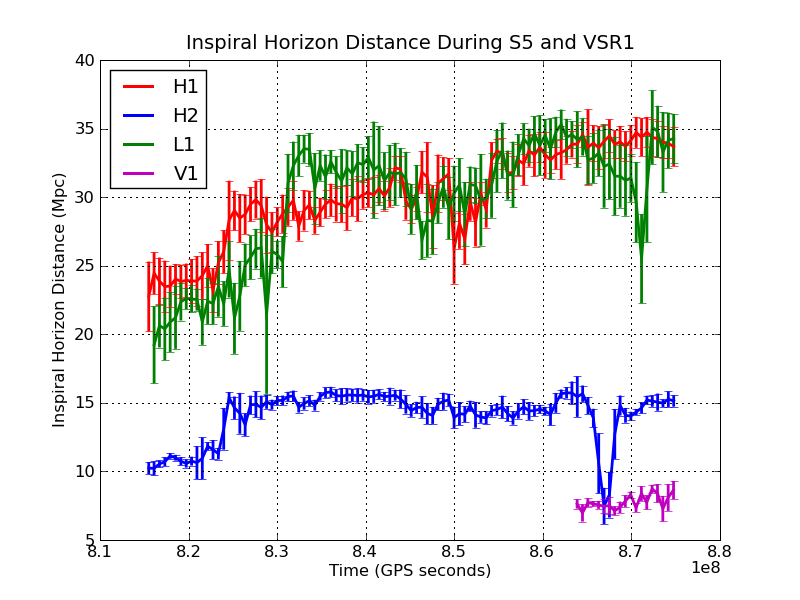 Please direct all questions to the corresponding author (sprivite@ligo.caltech.edu). 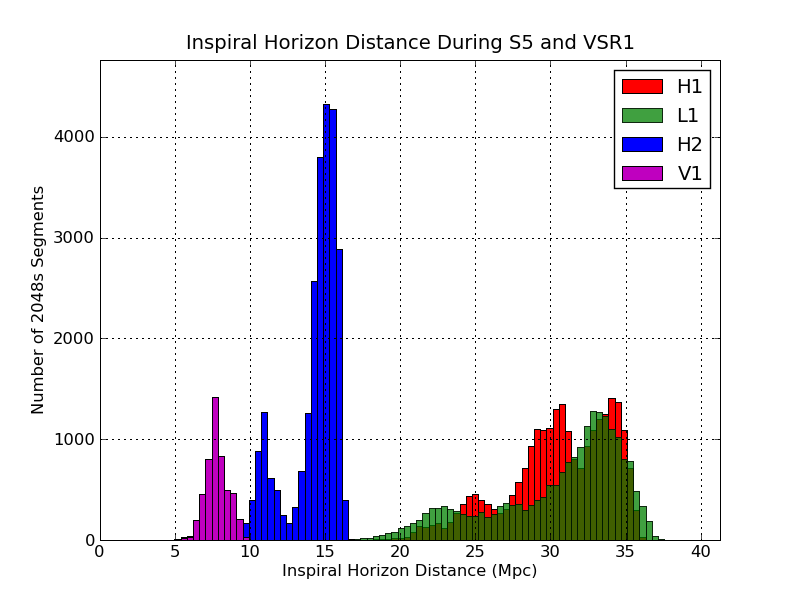 Please inform the corresponding author and the LSC and Virgo spokespeople (currently, reitze@phys.ufl.edu and francesco.fidecaro@df.unipi.it, respectively) if you intend to use this information in a publication.